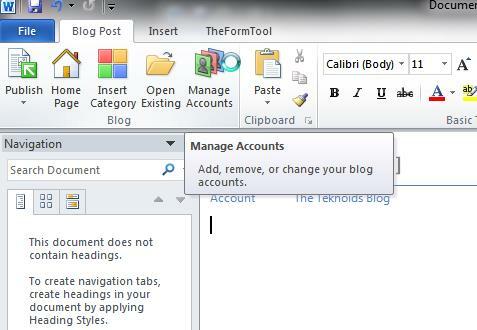 Here are 10 steps you to follow to setup Microsoft Word 2010 so you can use it to post to your Classcaster blog. 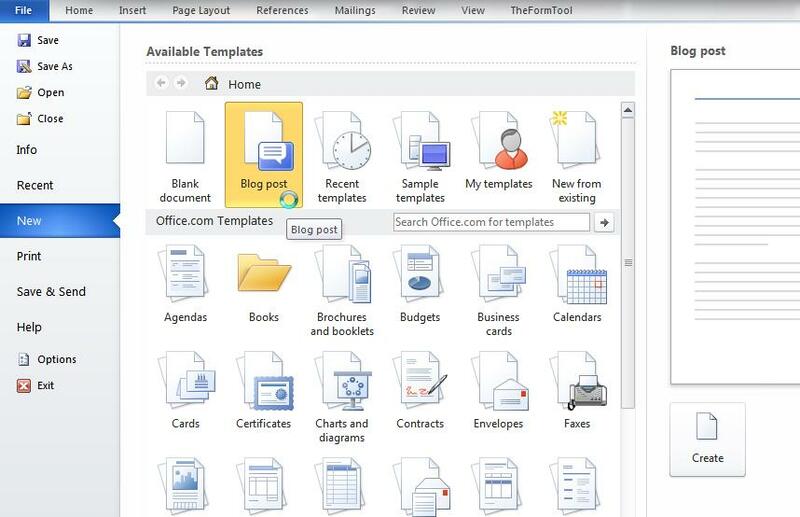 Once setup, Word 2010 can be used to manage most of the writing of for your Classcaster blog including saving and editing drafts as well as publishing articles. 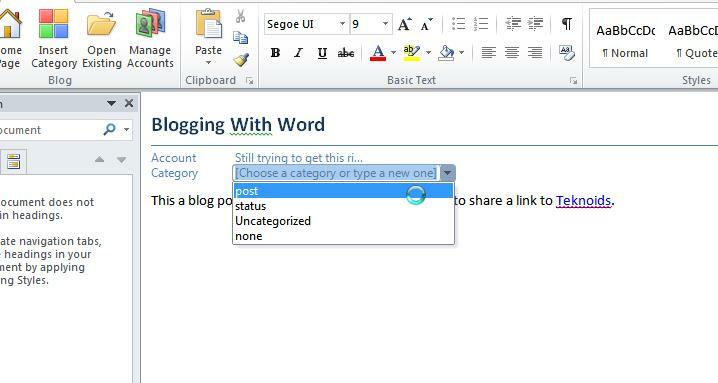 Please note that these steps work for Word 2010 and may not work in any other version of Word. 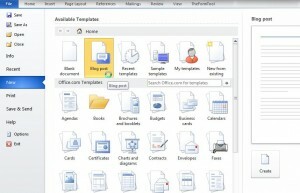 Create a new blog post under “File”, “New”, “Blog Post”. Click “Create” to get started. 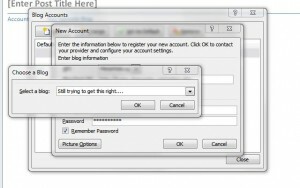 First you need to setup an account for the blog you want to post to. 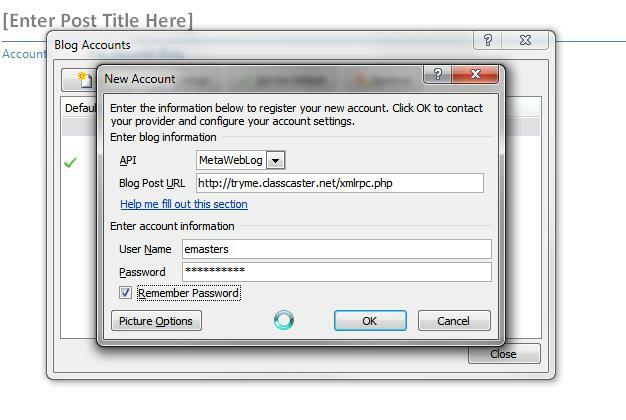 Click “Manage Accounts” to add your Classcaster blog information. 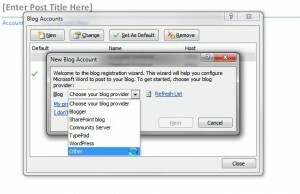 In the “Blog Accounts” window select “Other” from the “Choose a blog provider” list. Click “OK”. 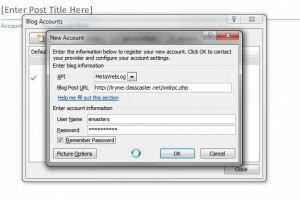 “User Name” and “Password” are your CALI username and password, the same as you use to login to Classcaster. 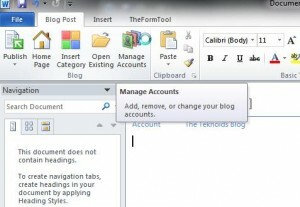 If you have multiple Classcaster blogs, select the blog you want to post to from the “Choose a Blog” list, click “OK”. 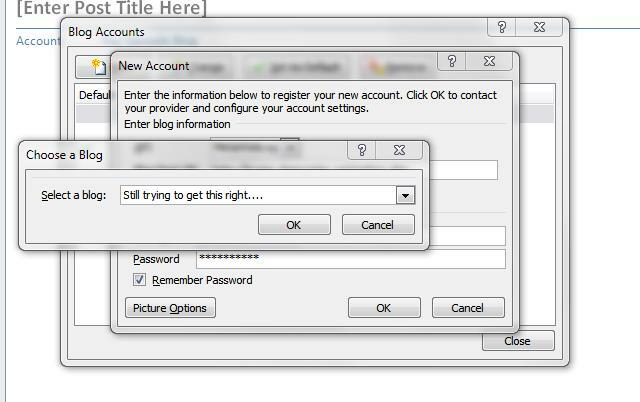 At this point you should get a message that lets you know that the account registration was successful. 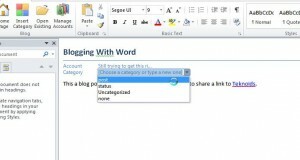 Now you are ready to use Word to write a blog post. Get started by entering a title for the post, and then the text of your post. 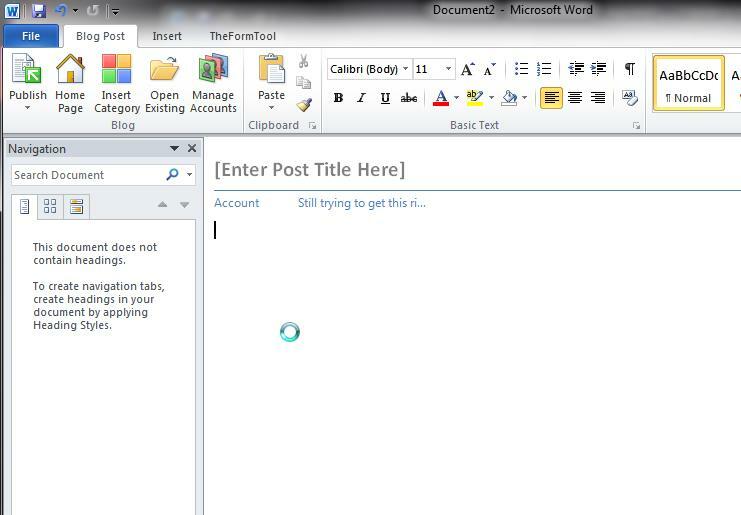 Please note that while you technically have all of the features of Word 2010 at your disposal, some may not survive the transformation to a blog post. Try to keep things simple. Once you are finished writing you may add a category to your post by clicking on the “Insert Category” button and then selecting a category from your blog. You may add a new category also. 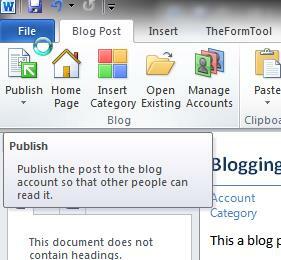 When you are ready to share your post with the world, click on “Publish” to send your post to your blog. You should see a success message if it went through. 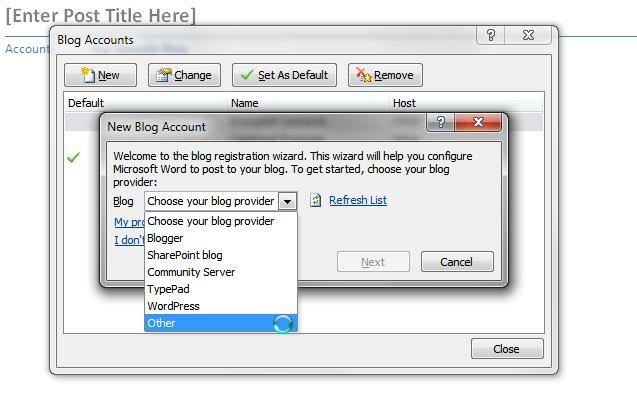 Those are the 10 steps to setting up Microsoft Word 2010 for posting to your blog. 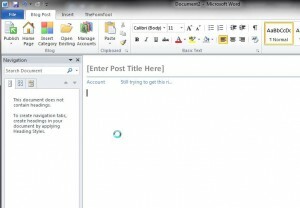 Once you’ve completed this initial setup process you can use Word 2010 to manage the writing for your Classcaster blog from idea through publishing.